Like begging for food and rolling on their bellies, dog love playing fetch because it’s in their nature, right? While some dogs, particularly retrievers (who were bred to, you know, retrieve things!) catch on to the game instantly, you may get frustrated when your pooch doesn’t participate. If she stares blankly at the soaring ball or refuses to return with it, don’t worry; there’s nothing wrong with her. But believe it or not, you can actually teach your furry friend to fetch, creating a fun and active game that you can both enjoy! 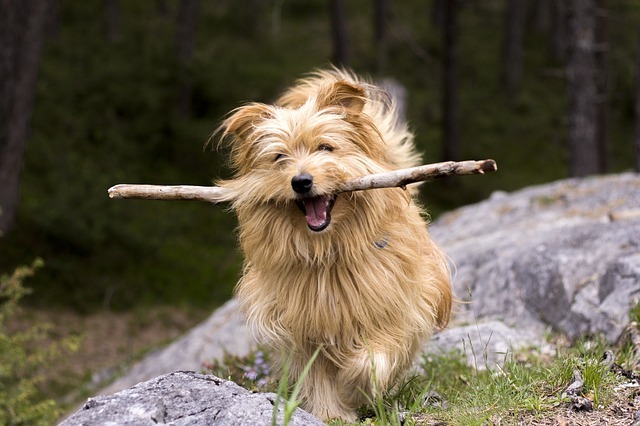 First thing’s first… you need to find something that your dog is interested in chasing after! Pick a favorite plushie, ball, stick (as long as you don’t let them chew it). You can even try tempting your pet with an oddly-shaped or erratically-bouncing toy. Very food-motivated pups may do well with a stuffable toy that contains a treat! This is going to sound odd, but keep your dog on a long leash and toss the toy short distances when you first start out. This helps avoid distractions and will help ease her into the second step, which is retrieving. As with any type of training, positive reinforcement is key. Once your companion has fetched the object and it’s in her mouth, reward her with plenty of praise, pets, treats, or all of the above. She’ll start learning to come back to you receive her goodies and attention, which will help with the next step. Brain Ball by Project Play™ – Treat Dispensing Teaser & Thinker Toy, $12.99. Get a Toy, Give a Toy to Shelter Dog In Need! A leash is especially handy when training your pooch to come back to you! Once the fetched toy is in her mouth, gently tug the leash and entice her to come back to you… yep, treats are a great motivator here! This is where a lot of dogs like to turn a game of “fetch” into a rousing round of “keep away,” another reason to keep her leashed as she learns. If your pooch loves the chase, don’t engage. Instead, offer her some tasty morsels in exchange for her toy, and she’ll learn that bringing back whatever you throw gets her a snack. 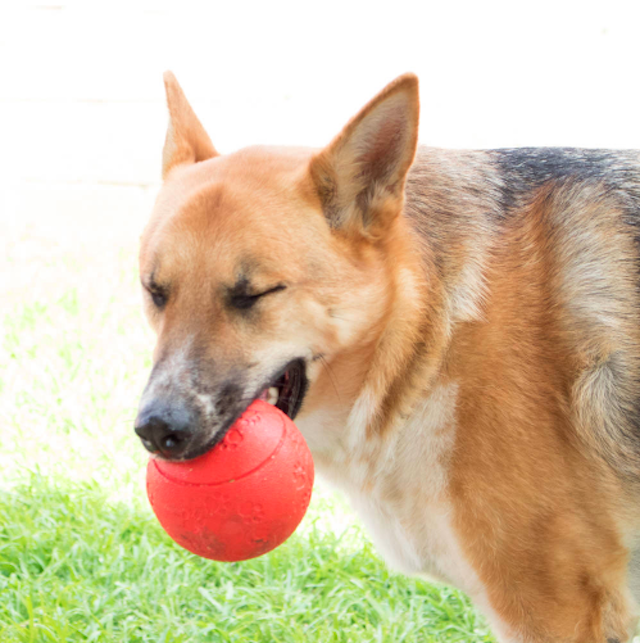 It’s like a type of currency: your dog “pays” for her treat by offering you the ball! Project Play Wunderball, $12.99. Get a toy, give a toy to shelter dog in need! Pups that love to run will soon realize that the real reward of the game is another toss, another sprint, and more time spent with you! But if your dog prioritizes food above all else, that’s ok! 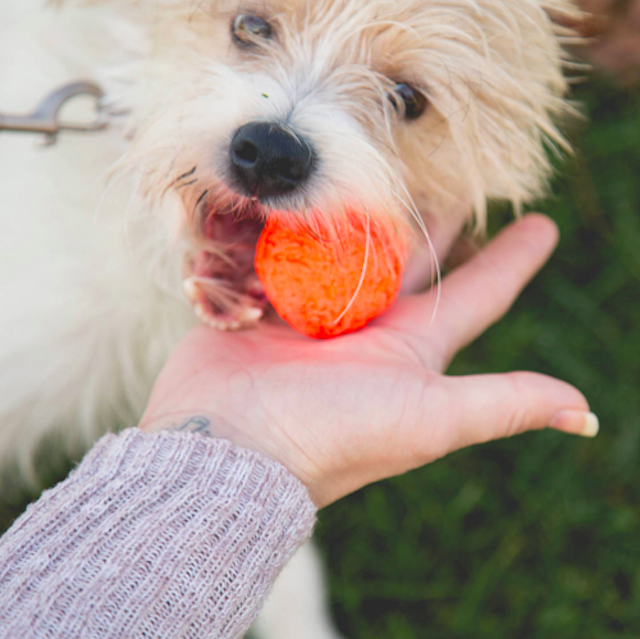 Just bring a handful of treats every time you head out to play, and your four-legged friend will enjoy this work-and-reward game. 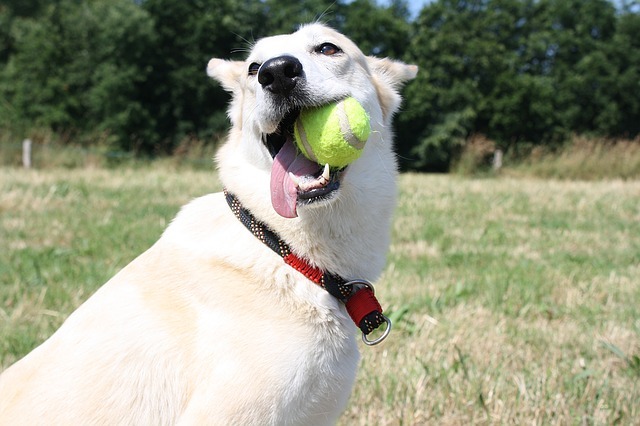 Dogs are synonymous with playing fetch, but it doesn’t mean it comes naturally to all of them. With that said, any healthy, active pooch can benefit from learning the game, as they get exercise, have fun, and most of all, bond with you!